Paul Hulsenboom (1990) is a cultural and literary historian. He studied Classics, Literary Studies and Education at Radboud University Nijmegen, the Netherlands. After having worked as a Classics teacher for several years, Paul is currently employed as a PhD student at the Department of Dutch Language and Culture at Radboud University Nijmegen. He specializes in Early Modern relations between the Low Countries and Poland-Lithuania, particularly in the fields of cultural and literary exchange, as well as diplomacy. 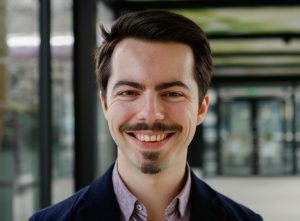 His PhD project concerns the development of Dutch perceptions of the Polish-Lithuanian Commonwealth and Polish-Lithuanian perceptions of the Dutch Republic during the long seventeenth century. His sources range from travel accounts, letters and poems written in Dutch, Polish or Neo-Latin, to visual material such as maps and frontispieces. In addition, Paul combines his scholarly activities with his work as a translator of Polish literature into Dutch. This website provides information about Paul’s research interests, his publications, grants and presentations, as well as his activities as a translator. It also functions as a weblog, featuring blogs in English and Dutch relating to Paul’s research. On occasion, the blogs contain Paul’s own historically themed cartoons. The painting used in the header is Haecht, Willem van (II) (painter), De kunstkamer van Cornelis van der Geest, RH.S.171, Collectie Stad Antwerpen, Rubenshuis, photograph: Bart Huysmans, Michel Wuyts (detail). It was painted in 1628, and features the Polish-Lithuanian Crown Prince Władysław Waza (next to the ‘P’) at the time of his visit to Antwerp in 1624.